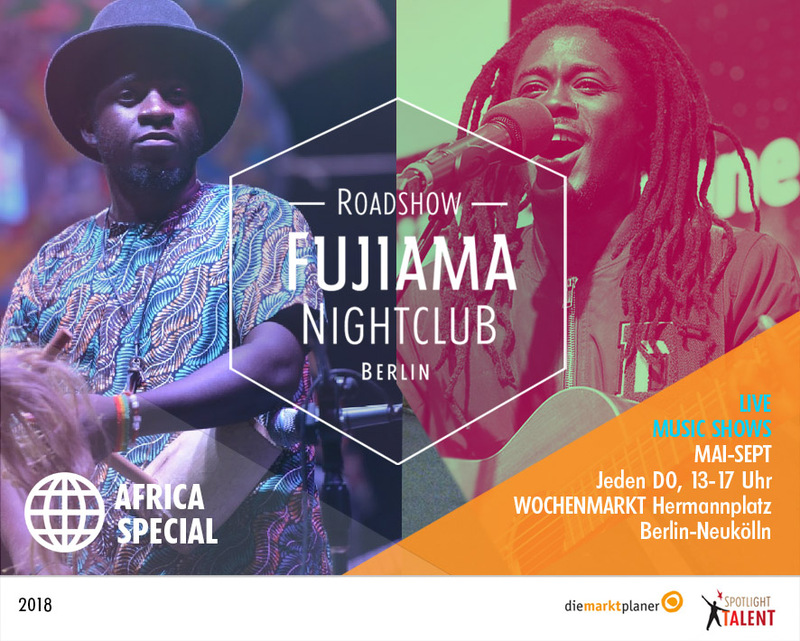 Our focus is on talented liveacts with musical diversity from Soul, R&B, Folk to Jazz, Pop, Electro, Rock, Oriental and World Music. We especially want to give young new acts a plattform to perform their own music and prefer smaller liveacts on open air events in Berlin-Neukölln. 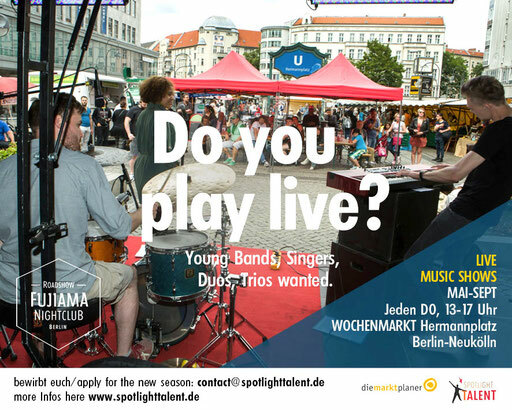 Locations: Wochenmarkt Hermannplatz, Britz-Süd and Alfred-Scholz-Platz in Neukölln (outdoor). 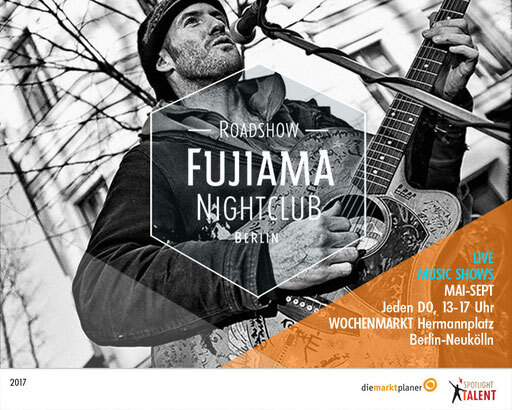 Singer-songwriters, duos, trios, bands. 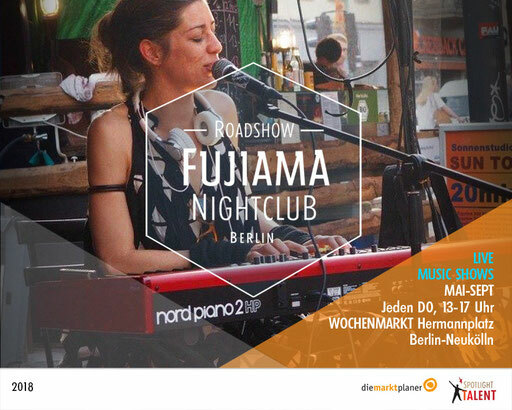 We are interested to expand our artist pool with enter-taining liveacts who provide quality with their musical performance. All bands receive an individual flyer from us to share and promote. 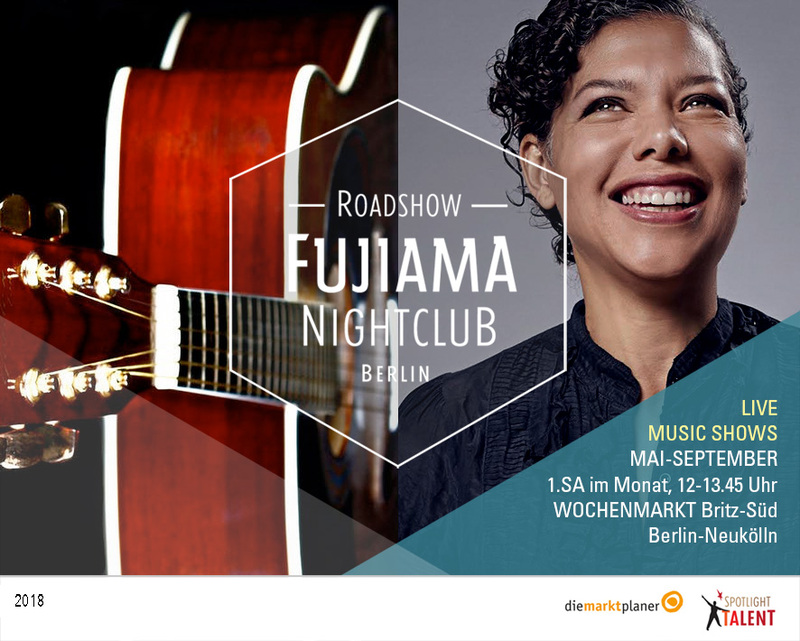 musicians will be paid a fair fee and get catering. 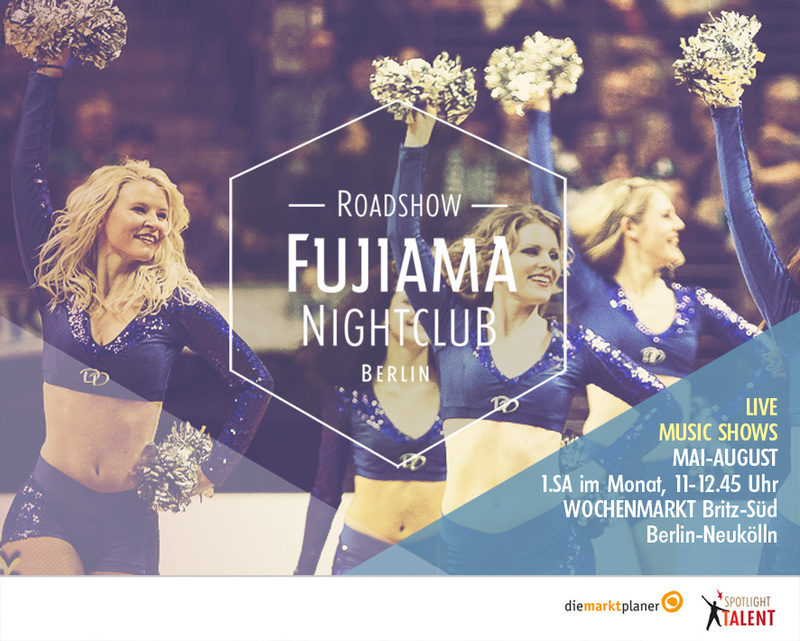 Social media promotion will be provided by us and our partners on Facebook and occasionally in the local press. You can sell your CDs and display a hat for donations as well. Every Wed, 17 - 20 Uhr (Feb-April). 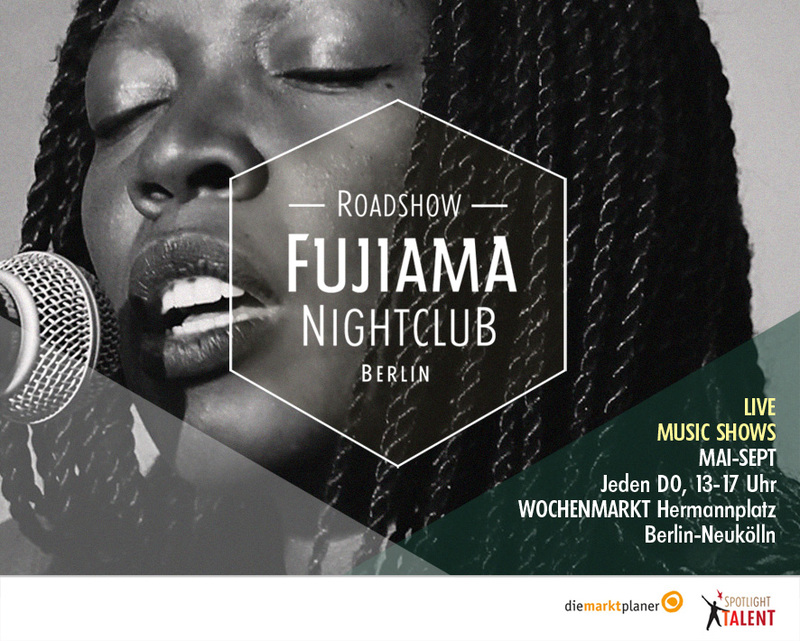 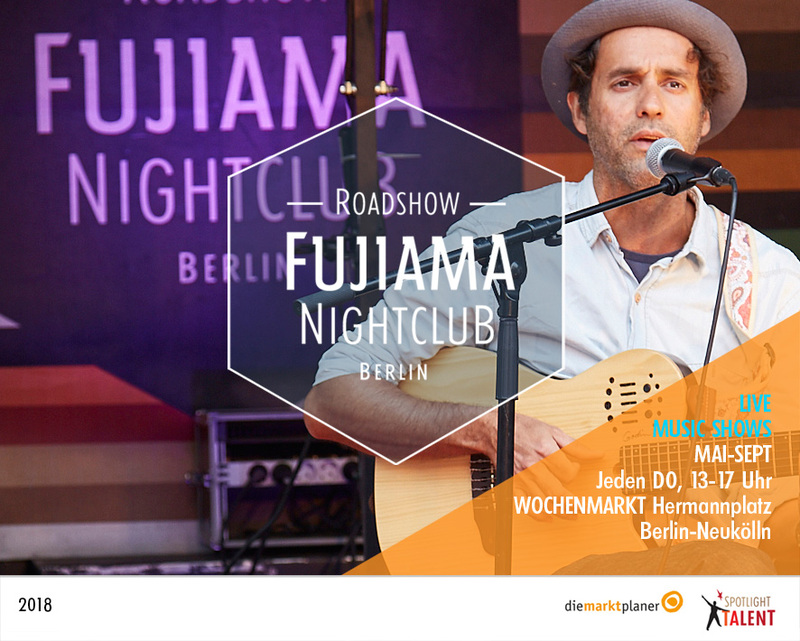 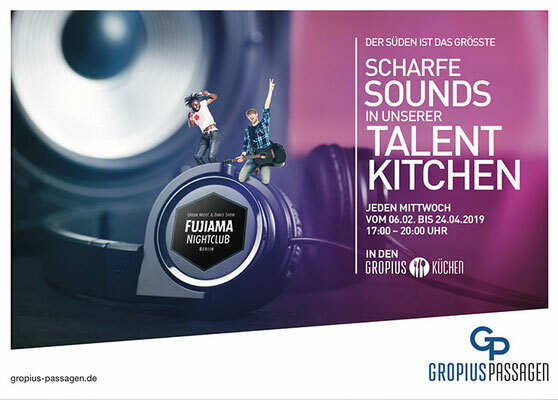 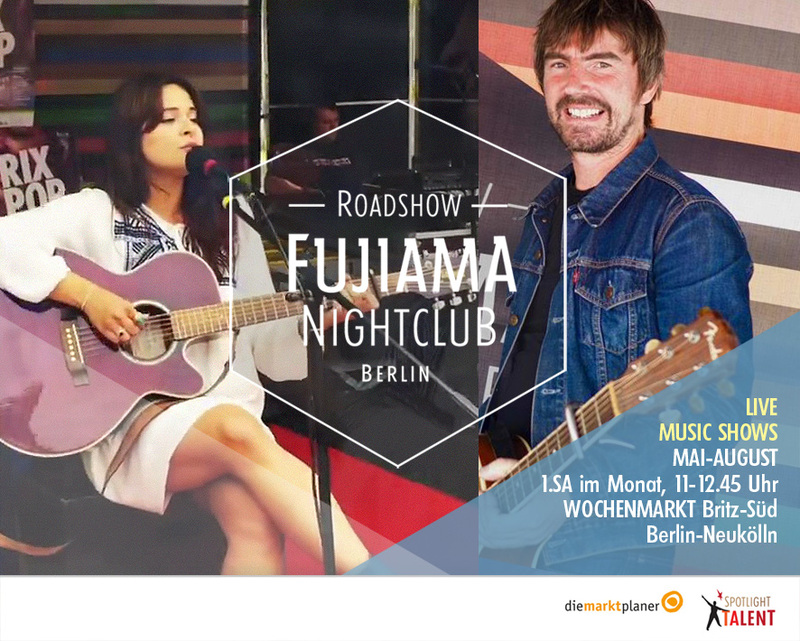 Livemusic at "Gropiuspassagen" Shopping Mall, Berlin-Neukölln presented by Fujiama Entertainment. The program is including talented independent artists from Berlins boiling international music scene. 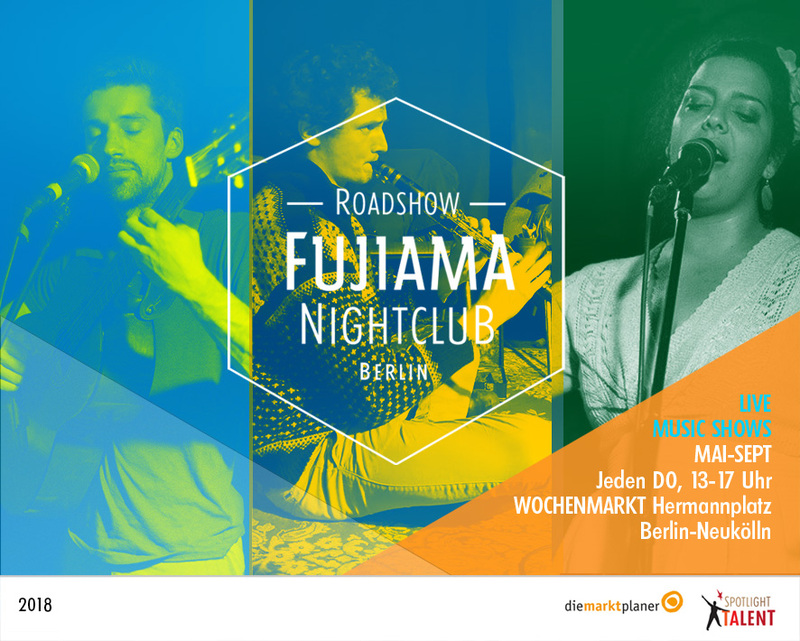 Indipop, NuSoul, RnB, Jazzpop, Electro, Folk, Global. For this event we are looking for solo artists/duos/trios/small groups for a lounge atmosphere. 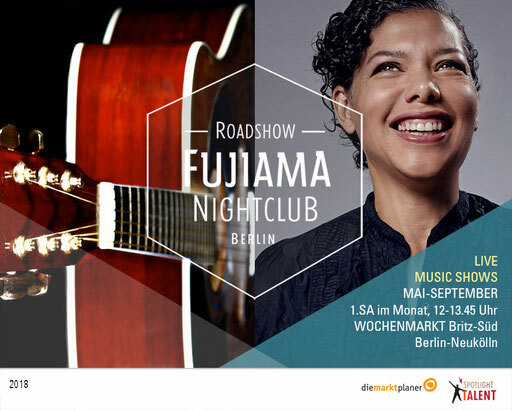 The fee and the times are negotiated individually. Promotion will be provided by us and Gropiuspassagen Management. 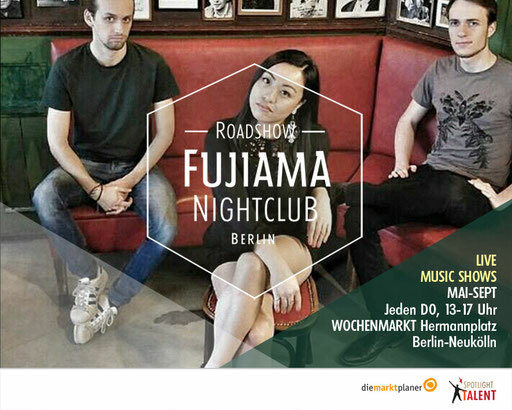 We are always interested to get to know new talented valuable acts. Die Marktbühne - Mieten Sie die mobile Bühne mit Soundanlage für ihr Event. 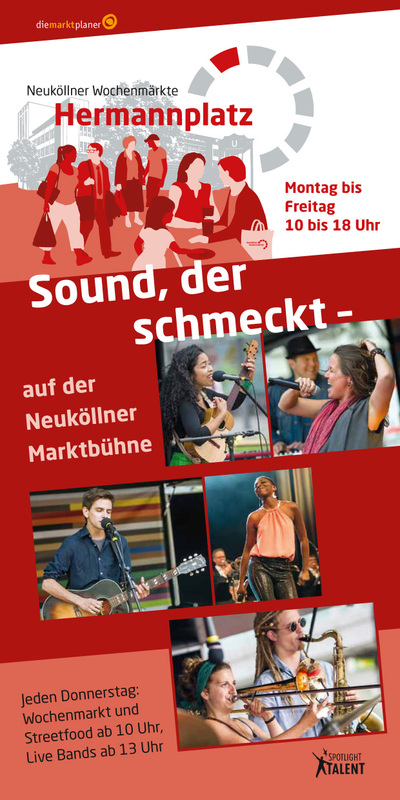 Die MARKTBÜHNE ist eine mobile Pkw-Anhängerbühne (Masse: 5x6m) für Livemusik und Showunterhaltung der Firma diemarktplaner GmbH, kann für ihr Event komplett mit professioneller Soundanlage und Tontechniker gemietet werden. 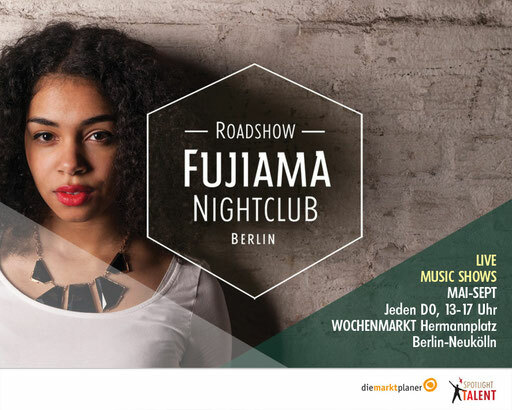 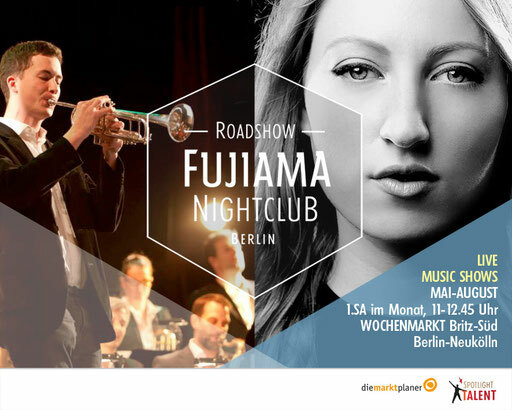 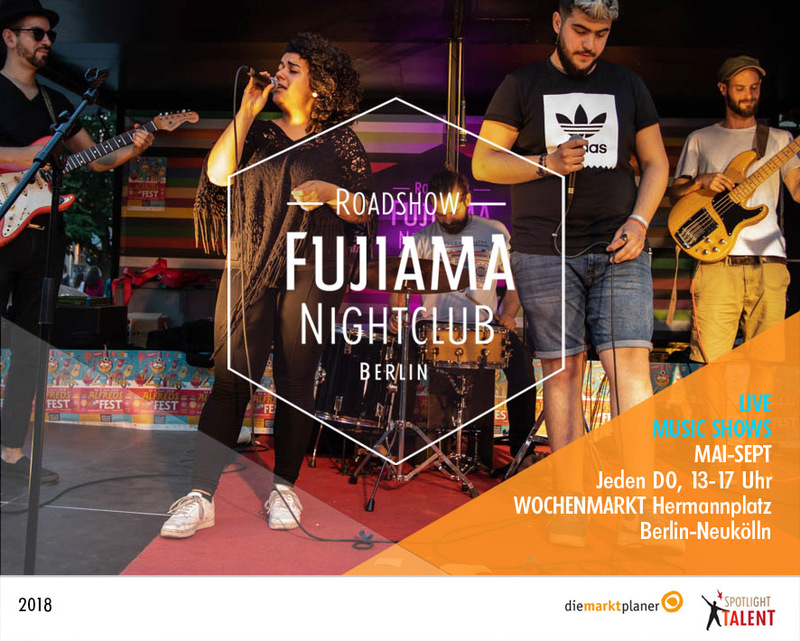 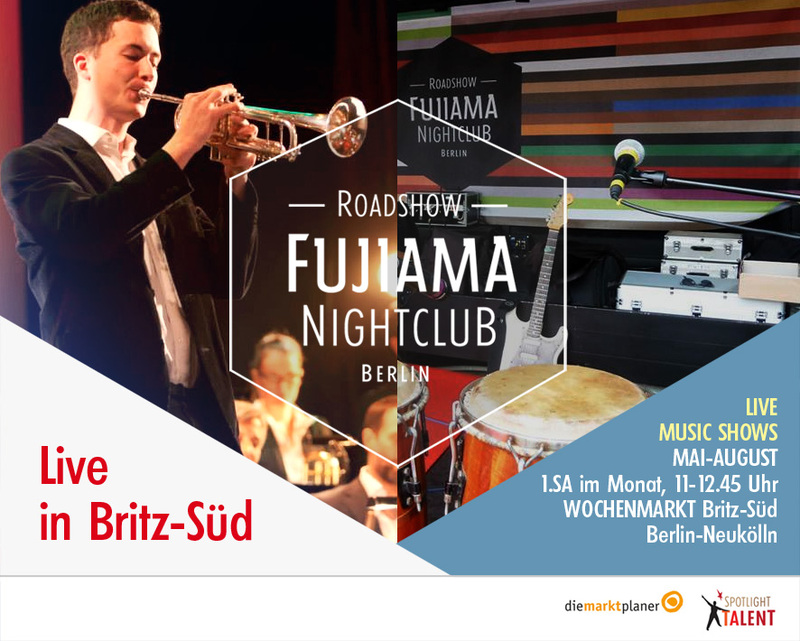 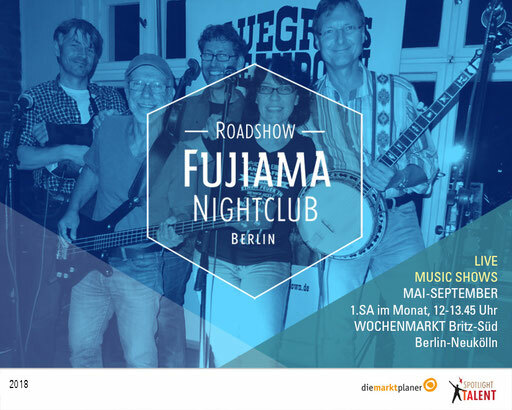 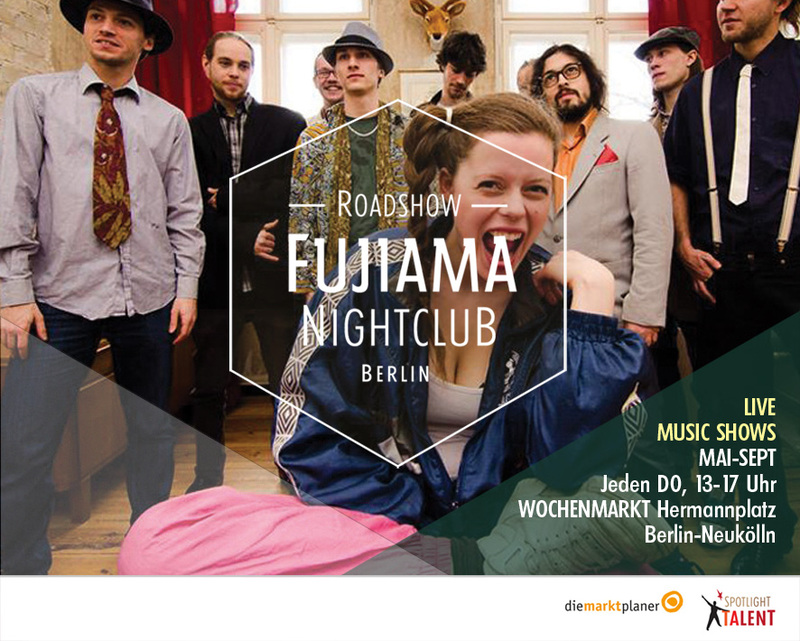 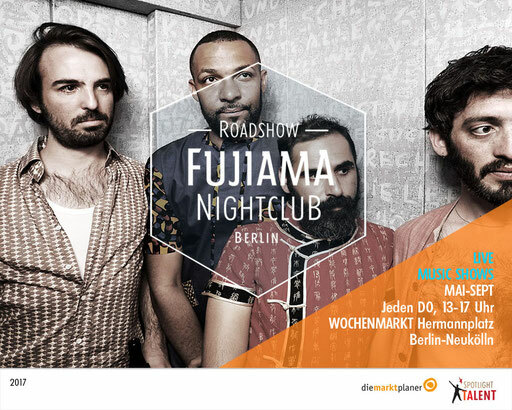 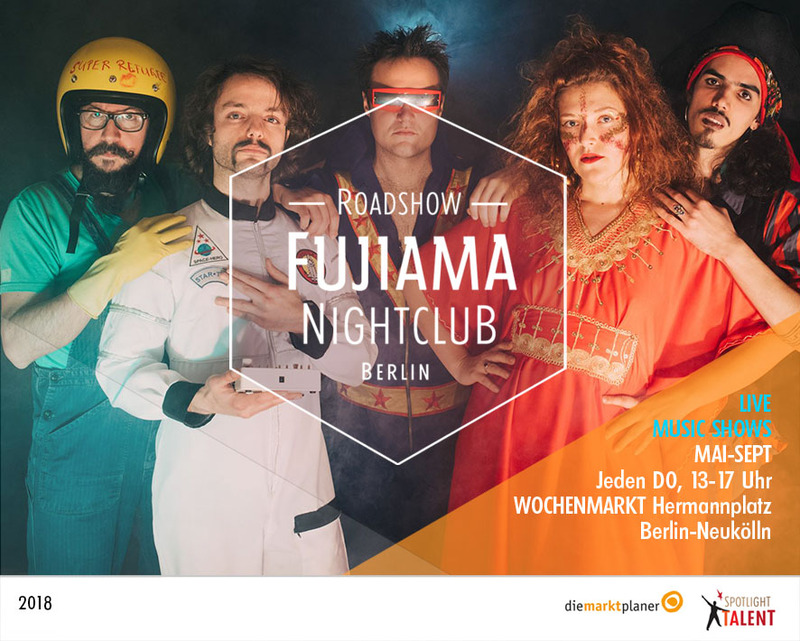 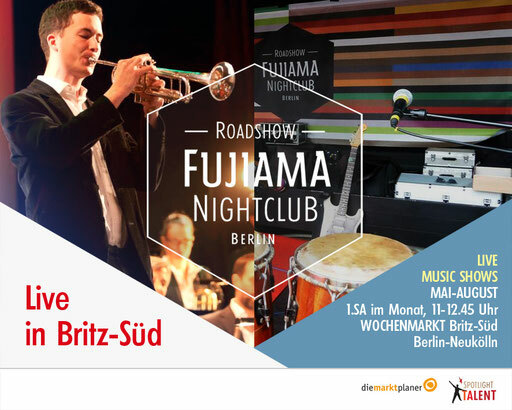 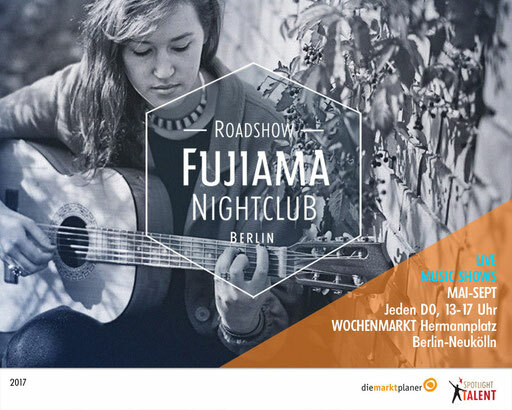 Im Rahmen der "Fujiama Roadshow" wird die Marktbühne in 2017 auf Neuköllner Wochenmärkten bespielt. 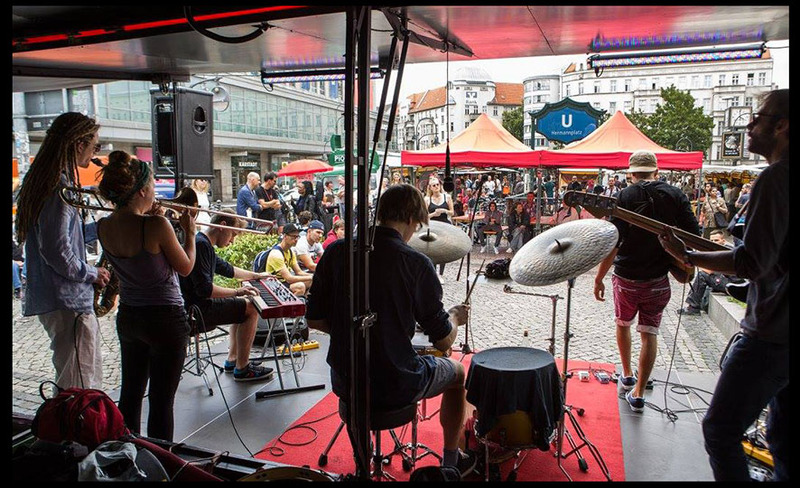 Spielorte 2015/2016 waren u.a. 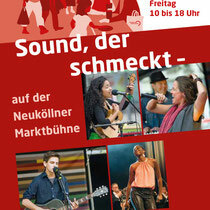 Wochenmarkt Hermannplatz (Do) und Wochenmarkt Rudow, Britz-Süd in Berlin-Neukölln. 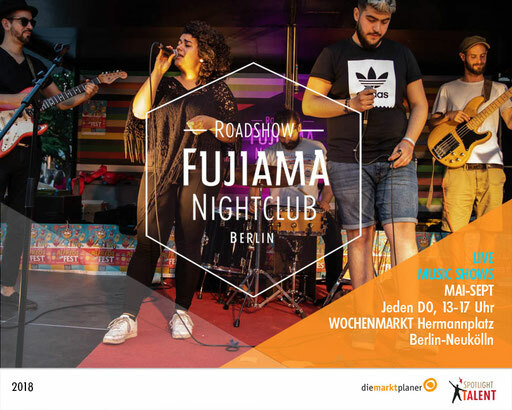 Wir danken für der Unterstützung durch musikulti e.V.